Great iPad apps generally have a great user interface and a number of impressive major features. They also often have clever little features that make them a joy to use. 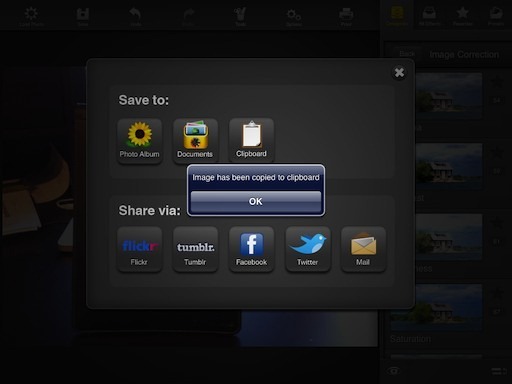 Here’s an example of one of these: the ability to save to the Clipboard in the FX Photo Studio HD app. 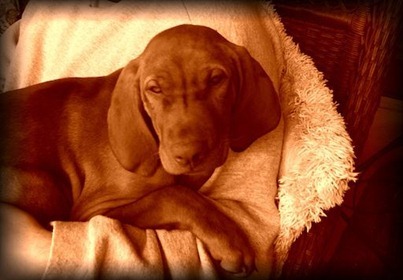 I did a review of FX Photo Studio HD for iPad a couple months ago, and love the app. 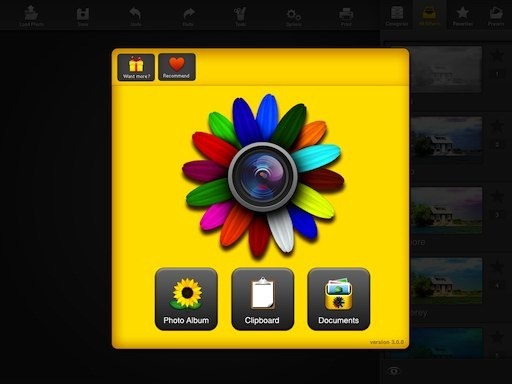 I use it often and it has become my go-to app for image editing and photo effects, more so than any desktop app. A little but great feature I have only recently noticed is the app’s Save options. You can save a modified image to the Camera Roll, to the Documents folder, or to the Clipboard. Saving to the clipboard is a super handy option because it lets me move a modified / corrected image very quickly (via the excellent Pastebot app) to my Mac, for use in an article or similar. And of course once the image is in the clipboard, you can paste it into anywhere that is useful to you – a Keynote presentation, a Pages document, an email, and so on. What are some of your favorite little features in your favorite iPad apps? I did a review of FX Photo Studio HD last month; it has rapidly become a favorite and very frequently used app for me. It is my go-to app for nearly all work with photos and images on the iPad. Apparently the folks at MacPhun like Wednesdays, and they’ve got a sweet Wednesday deal for iPad owners today. 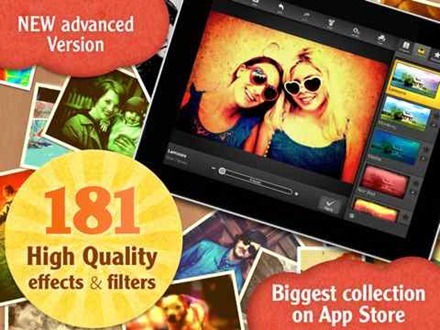 Their excellent FX Photo Studio HD app is on sale for just $0.99 – 80% off its regular price. It works well even for those of us who are lousy photographers and don’t give it much to work with. It is an oft-used and favorite iPad app for me. 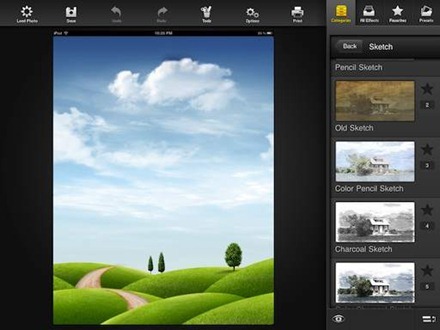 If you’re looking for a great photo effects app for the iPad at a great price, you need to check this one out today. 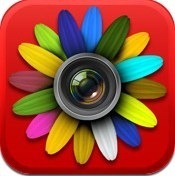 Here’s an App Store link for FX Photo Studio HD, available today (3/16) for $0.99. Check out my recent review of it here for lots more detail and screencaps, but the short story is this is a favorite app of mine. FX Photo Studio HD has rapidly become one of my favorite apps on the iPad. 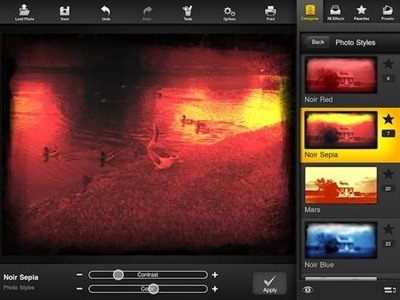 It’s a powerful photo effects app that is both feature-rich and very simple to use. It currently features 128 effects that can be applied to your photos (and more that can be bought via in-app purchase). Largest Collection of high-quality photo effects for iPad on App Store (128 effects in current version, 181 effects in the upcoming update). 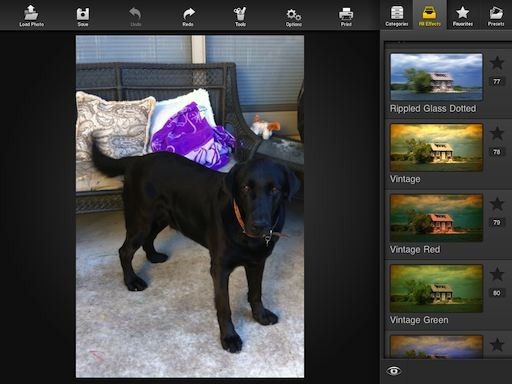 This HD version of FX Photo Studio has a very clean and simple interface adapted especially for the iPad. First things first, if any of you would like to argue that this is not the cutest puppy in the world I’m happy to debate that with you at great length. That’s not the purpose of this short post though – which is to recommend the excellent FX Photo Studio HD app. I’m not going to even attempt a review on this one because I’m just not adept enough at using photo effects apps in general to do it justice. What I can say though is that even with my clumsy, very amateur touch with these sort of apps, FX Photo Studio lets me create (what I think are) some lovely images from existing photos. Like the one above that took just one tap to render the ‘Vintage’ effect onto my photo.